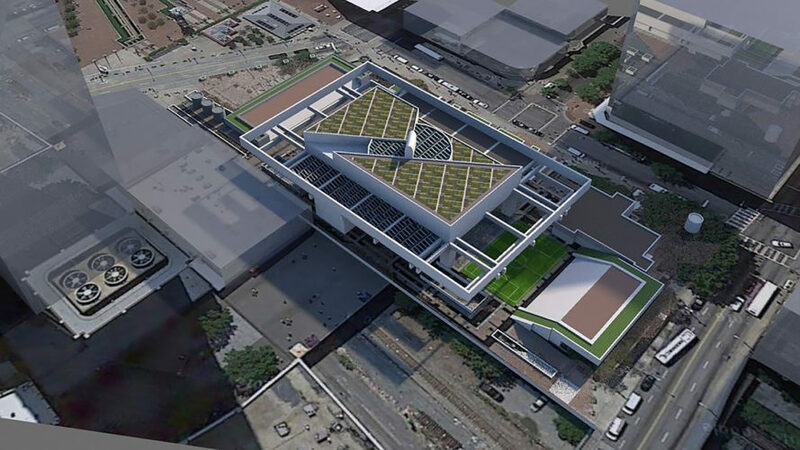 We've seen sports in unusual places, but Atlanta takes the cake with a groundbreaking new soccer field inside a metro station. At the Metropolitan Atlanta Rapid Transit Authority (MARTA) Five Points station, a new soccer stadium called Station Soccer creates equal opportunities for local kids who might otherwise lack access to soccer fields. The soccer field is the first of its kind in the world. Unveiled by nonprofit Soccer in the Streets and Major League Soccer team Atlanta United Football Club, Station Soccer will offer a new opportunity for local kids to gather and play the popular sport. Atlanta United FC, which will start playing in 2017, provided money for Station Soccer through their new Atlanta United Foundation, which they launched to make soccer accessible to people from all demographics. Soccer in the Streets mentors kids through soccer and classroom sessions. Their after-school programs have served around 240 kids so far. Their goal is to use soccer for social change, offering an alternative for kids who otherwise might turn to gangs or drugs. The new soccer field is centrally located, easy to reach from all of Atlanta’s metro lines. Five Points is Atlanta’s largest MARTA station and is the primary point of transfer for the east-west and north-south lines. 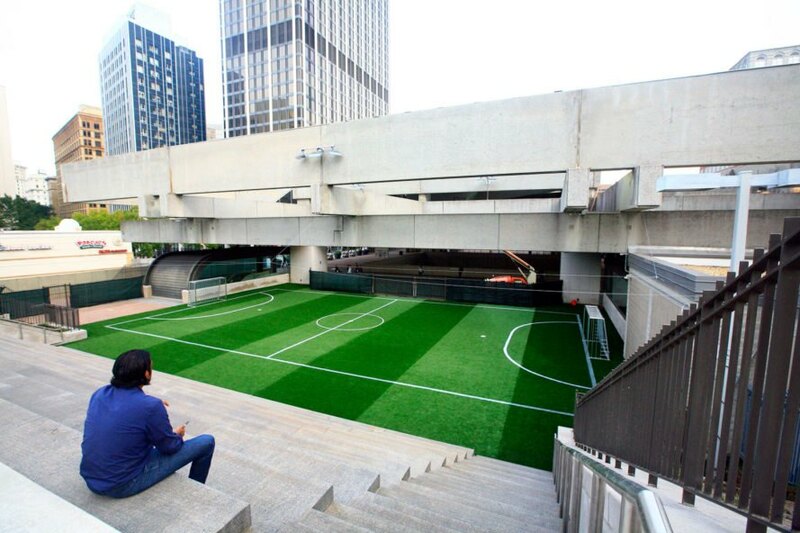 The soccer field occupies a once underutilized space in the concrete urban station, adding beauty and functionality. Atlanta United President Darren Eales said the field’s location will allow children from diverse communities to play soccer together. Soccer in the Streets Executive Director Phil Hill said in a statement, “The field will allow our organization to expand through a totally new concept in urban soccer, designed specifically for kids who live in underserved neighborhoods.” Soccer in the Streets will offer year-round free youth programming and adult leagues at Station Soccer. Station Soccer is located in Atlanta's largest MARTA station. Atlanta United Football Club's new Atlanta United Foundation helped fund the soccer field. The soccer field is easy to reach from all of Atlanta's metro lines. The field will allow children from diverse communities to play soccer together. 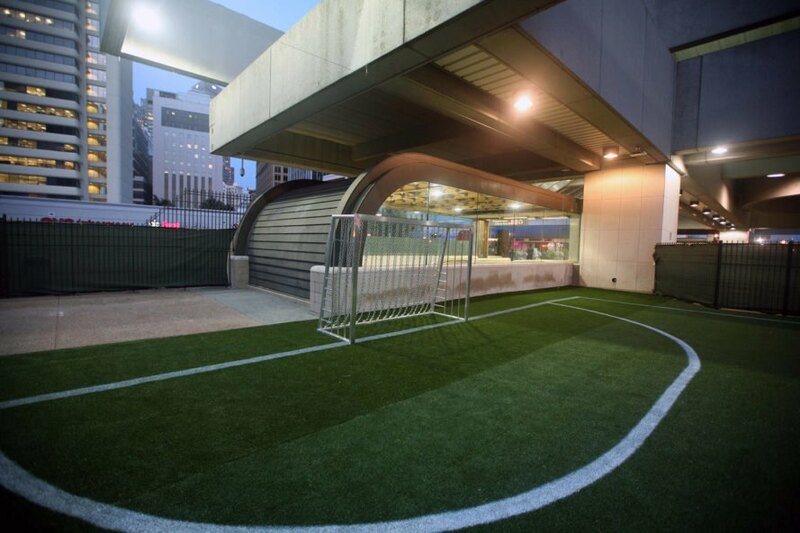 The soccer field adds beauty and functionality to the metro station. Soccer in the Streets will offer youth programming and adult leagues in the space. Station Soccer will allow Soccer in the Streets to reach kids from underserved neighborhoods. 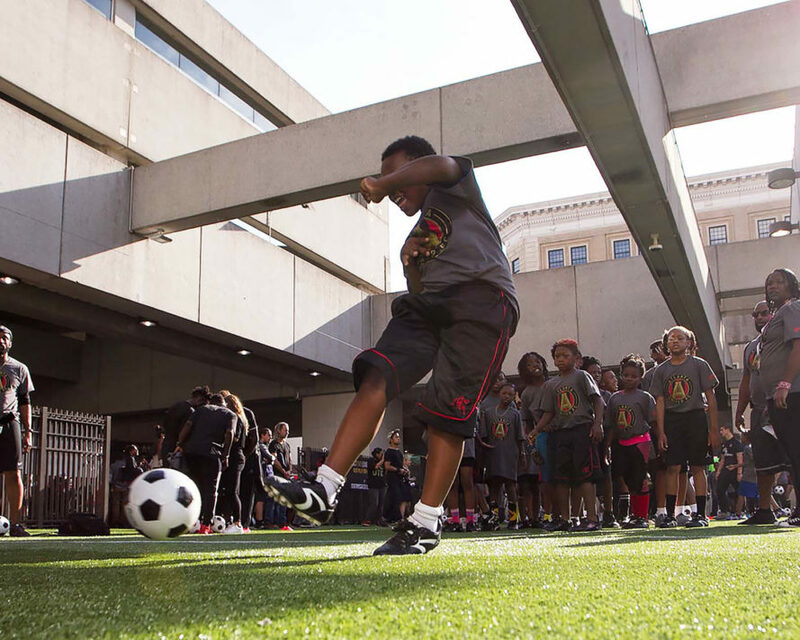 Soccer in the Streets' after-school programs have served around 240 kids. Soccer in the Streets offers soccer as a positive alternative for kids who might otherwise turn to gangs or drugs.